Got color? Most of us don’t get enough fresh fruits, vegetables or whole grains in our diets. 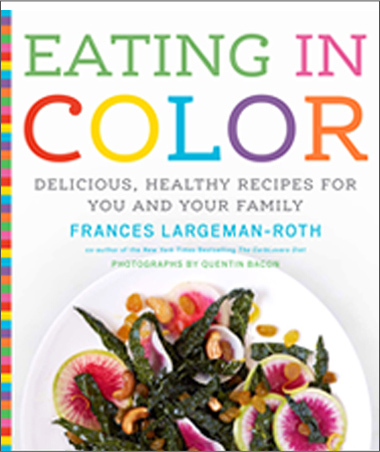 With Eating in Color, Frances Largeman-Roth aims to help you brighten up your plate in a fun, easy way. From deep green kale to vermilion beets, Eating in Color showcases vibrant, delicious foods that have been shown to reduce the risk of heart disease and stroke, some cancers, diabetes, and obesity. 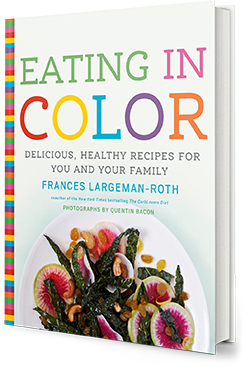 Avocados, tomatoes, farro, blueberries, and more shine in stunning photographs of more than 90 color-coded, family-friendly recipes, ranging from Caramelized Red Onion and Fig Pizza to Cran-Apple Tarte Tatin. 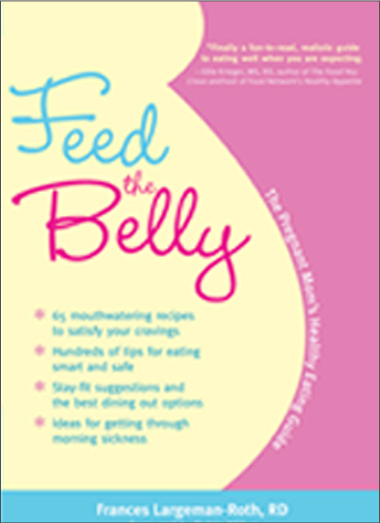 Clear instructions and nutrition information make this an essential resource for eating well while eating healthy. 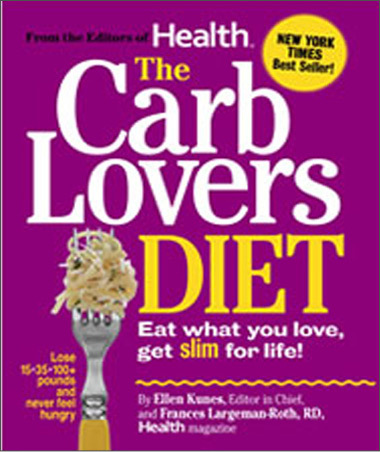 The CarbLovers Diet proved that eating carbs can make you slim. Now, by popular demand, the cookbook will show that you can lose weight eating delicious food at every meal, seven days a week. You’ll find 150 incredible new recipes like lasagna, chicken pot pie, shrimp tacos (even coconut cake! ), plus a new RD-approved diet plan, grab-and-go options, and menus for special occasions. Discover 150 delicious recipes, including celeb chef creations from Cat Cora, Guy Fieri, Michael Chiarello, and Wolfgang Puck. Discover the delicious diet that made this book a New York Times best seller. It’s time to change your mindset! Breakthrough research revealed in this book shows how certain carb-rich foods–especially those with the amazing natural ingredient called Resistant Starch–act as powerful metabolism boosters and appetite suppressants. Rather than making you fat and bloated, as decades of low-carb diet gurus claimed, CARBS make you thin. They can shrink fat cells, especially in your belly; boost fat burning; increase muscle mass; curb cravings; keep you feeling full longer than other foods; control blood sugar, and lower cholesterol and triglycerides! The CarbLovers Diet is a real women-tested, dietitian-approved road map proven to melt off 10, 35, even 100 plus pounds forever. 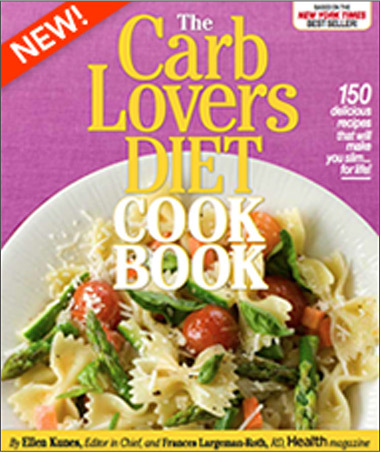 The CarbLovers Diet shows you how to eat your favorite carb-filled foods-and helps you get thinner and happier than you ever imagined. We’ve included fun-to-follow eating rules, tricks and tips, grocery lists, and amazing recipes anyone can make, enjoy, and share with others. Don’t feel like cooking? No problem. We’ve got hundreds of quick bites, frozen foods and restaurant menu items too. Get ready for your fabulous new life as a CarbLover! – Get started with a seven-day tear-out eating plan! Includes a foreword by Food Network Star Robin Miller and more than 65 easy-to-make recipes, organized by craving.